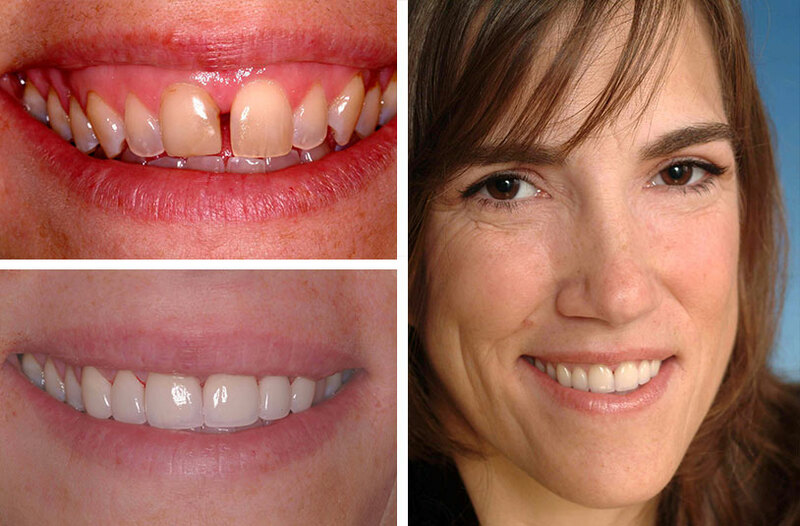 This delightful woman was understandably tired of the spaces between her front teeth but did not want to have braces to correct the problem. 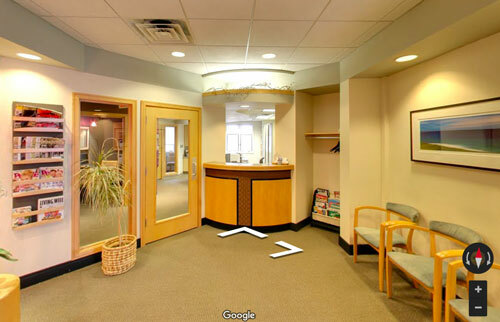 The spaces were closed using porcelain veneers. 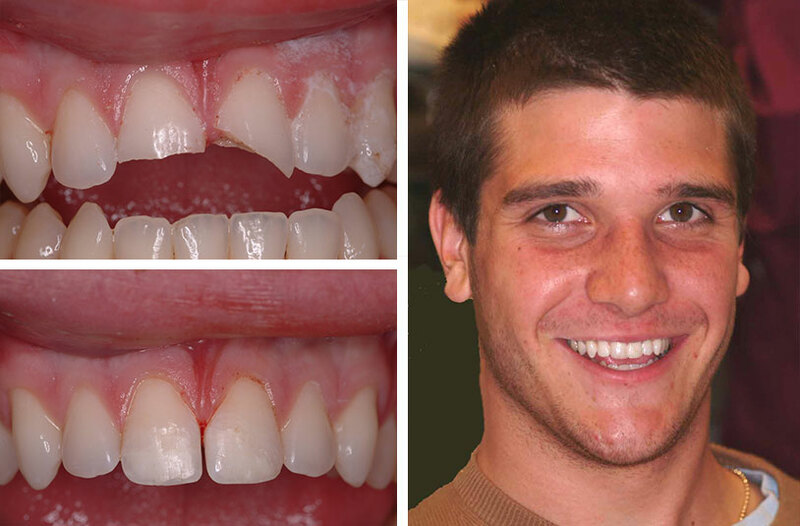 In order to create ideal proportions for the teeth, four veneers were placed. This vivacious young woman had always disliked the space between her front teeth. With her wedding coming up, it was time for a new smile. 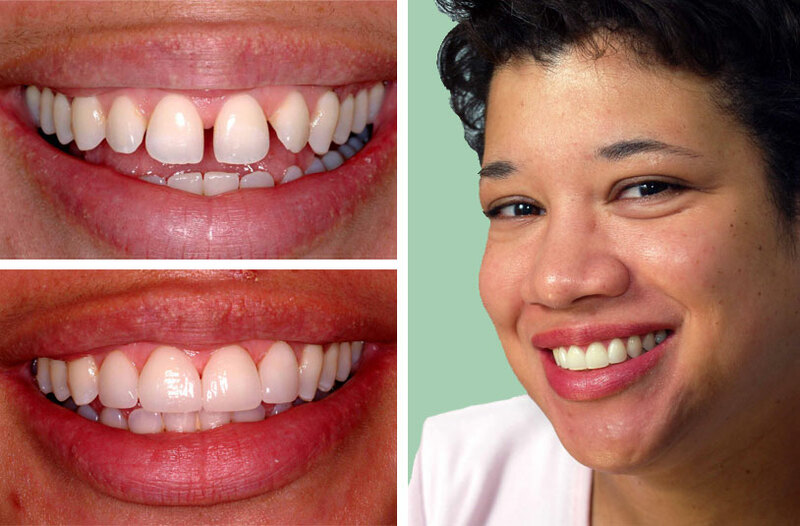 First the teeth were bleached to create a brighter, yet natural, color, then six porcelain veneers were used to reshape the teeth and close the spaces. The perfect smile for the perfect wedding! This young man was injured in an accident. He had the presence of mind to find the the broken pieces of tooth and bring them to the office with him. In just a few minutes we were able to bond the fragments back onto the teeth as an emergency repair. Eventually, these teeth will be restored with porcelain veneers. Thank you for seeing my son on such short notice. You did a fine job and having his records on file will be helpful to him in the future. Thanks again for being there for us.